I am so excited to invite students from across to participate in the first Future Community Leaders Forum on Saturday, June 1st at Flywheel. I am passionate about empowering and uplifting the next generation of leaders in downtown and South Omaha. The Future Community Leaders Forum will be a wonderful, *free* introduction into many facets of public service for students. We will place a preference on rising juniors through graduating seniors. We will have more information to follow, but the day will start at 9:00am and conclude at 4:00pm. We will have current Senators, campaign managers, and other public officials in attendance for a full day of engaging panels, workshops, and activities. These panels will include discussions with Senators regarding their career and path to office, as well as Q & A sessions. 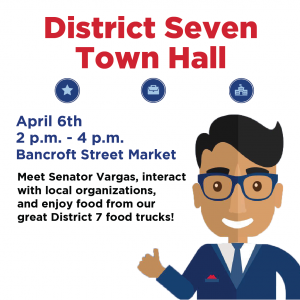 Activities and workshops will include working with Senator Vargas to explore core values, as well as designing and running a campaign with a successful campaign manager. This will be a great opportunity for any student interested in public service, whether running for office, working behind the scenes, or just interested in volunteering. For questions, please contact scolwell@leg.ne.gov. We look forward to seeing all of the engaged students of Omaha! LB 713 (PLAN Act) Advances! Let’s hear it for fiscal responsibility! Nebraska is one step closer to providing a viable future for our future generations. 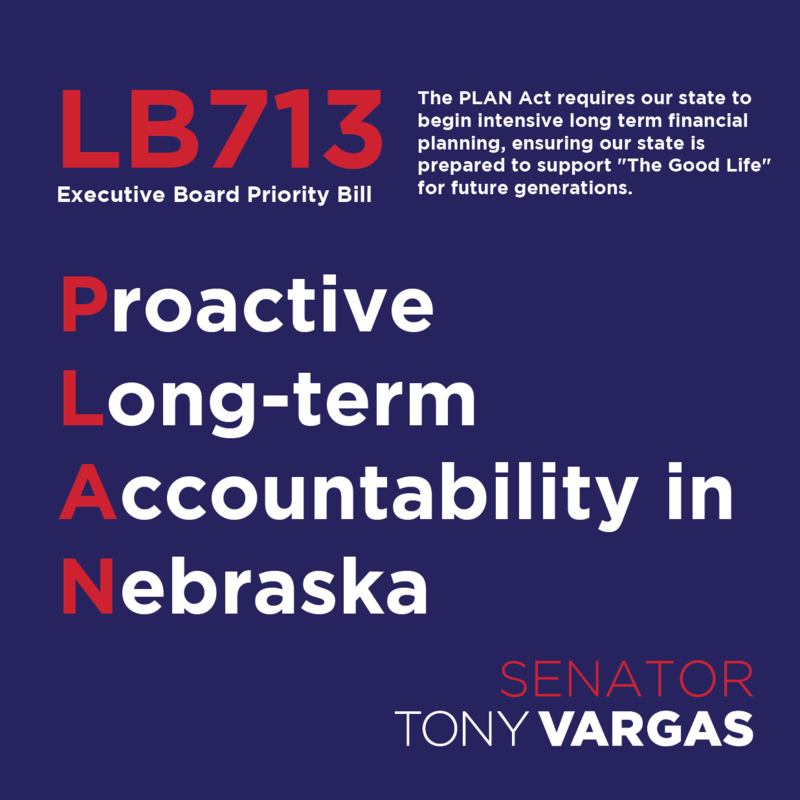 LB 713, or the PLAN Act, has been advanced to Select File! The population of Nebraska is increasingly urban, aging, and racially and ethnically diverse. However, our current fiscal situation for the state is not set up to support our changing demographics. Not only are we constitutionally prohibited from incurring debt, but revenue has been volatile over the past two biennial budgets and the Legislature has depleted cash reserves with no plan or projection to restore the balance in anticipation of future downturns in revenue or economic cycles. LB713 adds a new step in the legislature’s budgeting process by requiring the Legislative Fiscal Analyst to create additional revenue and budget reports throughout the biennium. These reports include: a revenue volatility report in even-numbered years, a budget stress test in odd-numbered years, and a long-term budget for major programs every four years. I think it is time that we get excited about genuine fiscal responsibility that ensures our state is prepared to support “The Good Life” for future generations of Nebraskans! In honor of National Women’s History Month, I want to take a few moments to recognize some of the amazing and strong women in my life. This year, I am especially grateful for the addition of a beautiful baby girl into my life. This week marked Ava’s due date. Though she arrived a few weeks early, I can’t blame her for being so excited to meet her mom, Lauren. I am so thankful that Ava will have such an incredible woman in her life that she can look up to, find solace in, and cherish. Lauren is my best friend, partner, and a fantastic role model for what a strong, fierce, and independent woman looks like. I was raised by a mother who instilled in me the importance of love, hard work, and family. Though she lives a thousand miles away, she is always guiding me, and I know that she is only ever a phone call away. She remains one of my best friends, and I was thrilled to welcome her to Nebraska to hold Ava for the first time. I’m thankful for my mother-in law, Kaye, who has always been a strong, determined, and caring individual who fights for her family. I am grateful for her stepping in to help us while Ava was in the NICU and Lauren was recovering. I also would not be here without one of my closest friends, who also happens to be my Legislative Aide, Meg Mandy. Meg has been with me every step of the way in the Legislature. Her determination, heart, and intelligence is indispensable as we seek to make lasting change in District 7. This National Women’s History Month is particularly important for the Nebraska Legislature, as this session has the most female senators in Nebraska history. We still have a lot of work to do, but these fourteen senators provide a voice and perspective that has been absent in our body for far too long. This month, please celebrate all of the wonderful women in your life, and understand that it is not enough to simply recognize them, but we must always — every day — listen to, uplift, and empower women. I have some fantastic news to share. Our little miracle Ava Kaye Vargas was born on February 14th (Valentine’s Day) at 5:11pm weighing 5 lbs, 10 oz. She came into our lives five weeks earlier than expected and was admitted to the NICU. Fortunately, Ava is a fighter and has made amazing progress. We are all settling in at home now as a new family of three. I am forever thankful for my amazing wife, partner and best friend, Lauren, for bringing Ava into this world. We couldn’t have asked for a better Valentine’s Day present. In addition to the birth of my daughter, our office also had a busy week. Last Wednesday my Legislative Aide, Meg Mandy, introduced two bills to the Revenue Committee on my behalf. The first is LB 310, which would set a timeline for the Department of Revenue to issue the Historic Tax Credit. This tax credit is used by developers to rehabilitate and revitalize historic buildings, benefiting both rural and urban areas communities across our state. She also introduced LB 477, a bill that will provide a tax exemption for recipients of the Segal Americorps Education Award. Similar to the benefits provided by Pell Grants or under the G.I. Bill, the Americorps Education Award provides recipients with additional educational opportunities. However, unlike Pell Grants or the G.I. Bill, the Americorps Education Award is currently taxed. LB477 would change that, making sure that the folks who work tirelessly to better Nebraska are awarded in full for their service. On Tuesday I introduced LB 550 to the Transportation Committee. LB 550 seeks to lower and eliminate some taxes and fees on wireless and prepaid wireless services. 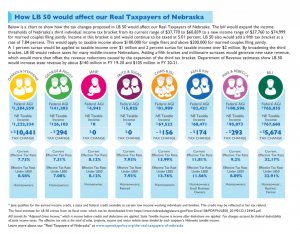 These taxes are regressive and unfairly impact consumers, resulting in Nebraska having the fourth highest state and local taxes in the country at 25.5%. Next week I will introduce LB 51, a bill that allows Tesla to sell their vehicles in Nebraska for the first time. LB51 upholds free market principles and consumer choice by opening up the state to a brand new market that is both innovative and promotes clean energy. It has been a pleasure getting to know current and prospective Tesla owners across the state who are enthusiastic about the possibility of Nebraska moving further into the 21st century marketplace. As always, please feel free to reach out to me at tvargas@leg.ne.gov or call my office at (402) 471-2721. In my two years in the Legislature, I have experienced how important it is to bring different perspectives to the table. Only through understanding the diverse array of viewpoints in our state can we, as legislators, attempt to solve problems that face all Nebraskans. Though we have made strides in recent years, our legislature still lacks much-needed diversity. One thing that makes it difficult for everyday people to serve in our citizen legislature is a constitutional barrier that sets senators’ salaries at $12,000 per year. This is why I introduced LR12CA, a resolution that would allow voters to amend our state constitution and raise the salaries of legislators to 50% of the median household income of Nebraska residents. A 2017 survey done by the National Conference of State Legislatures found the average pay for state legislators to be $35,592 excluding per-diem and expense payments. At $12,000 per year, Nebraska falls far behind many states with similar costs-of-living, such as Arkansas, Michigan, and Iowa. 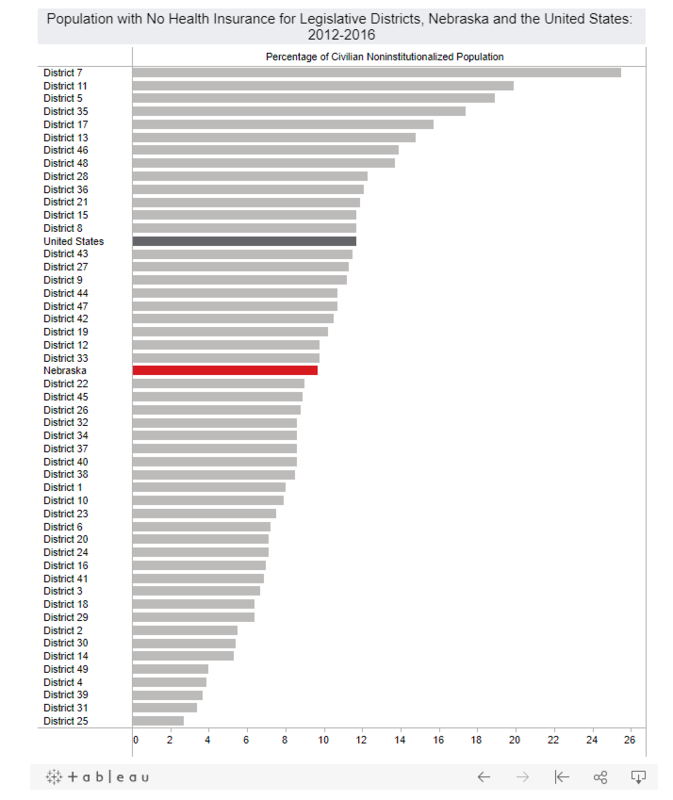 When considering inflation, average legislator pay has decreased substantially over the past 30 years, especially in states like Nebraska which haven’t increased pay since 1989. Higher legislative pay has several benefits. First, candidate recruitment becomes less difficult. Lawmakers and advocacy groups on both sides of the political aisle in Nebraska who once opposed increasing legislator pay now support it because they are struggling to recruit candidates. Second, it allows a broader range of citizens to consider running for office. Higher pay enables Nebraskans of all income-levels and in all districts to consider elected office. 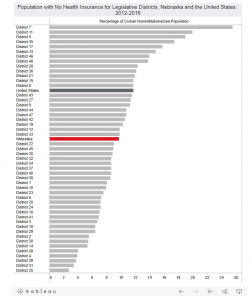 Under LR12CA, legislator salaries would be adjusted every two years, at the beginning of each biennium. I felt it was important to set salaries this way so our salaries are responsive to Nebraska workers’ salaries. If their median income goes down, there is no reason our pay should stay higher. LR12CA’s method to determine legislator pay every two years has been tested in several states including Massachusetts and Pennsylvania. It’s an effective way to increase pay with respect to inflation and cost-of-living. I am grateful that there is a bipartisan coalition of Senators who have co-sponsored this measure with me. These Senators represent a diverse coalition of political ideologies who together understand the necessity to make elected office more accessible for everyday Nebraskans. It is my hope that this measure will be adopted and put to the people of Nebraska for a vote. It is tough to find a better place in Nebraska to chow down than Downtown and South Omaha. Our district is home to a diverse array of dining options, representing the vibrant, multicultural community that we are. However, that diversity is not just present in the variety of foods, but also, in the dining experience. While our brick-and-mortar restaurants are some of the best in the state, we are also the home to some of the best food trucks in Nebraska. Unfortunately, today local municipalities and our state government have placed a patchwork of regulations on food trucks, making it difficult and costly for owners and operators to navigate and comply. This is why I introduced LB 732, a bill that my colleague Senator Carol Blood from Bellevue has cosponsored, that standardizes and streamlines permitting and inspections processes, encourages entrepreneurship, and maintains dining choices for consumers. LB732 was created in partnership with the Omaha Food Truck Association, a group of local food trucks dedicated to serving Omahans a wide variety of cuisines from around the globe. I am grateful for their cooperation in creating common-sense legislation that maintains public safety and public health while bringing Nebraska up-to-speed with the rest of the nation. Today, food trucks looking to operate in Omaha face different regulations and costs to do business than those that operate in Lincoln or Bellevue. The same food truck often operates in multiple cities, so these differences greatly impact their ability to conduct business and remain profitable. For instance, a permit to operate in Lincoln or Bellevue can be hundreds of dollars more expensive in Omaha. This can be too big of a hurdle for small business owners looking to get their feet off of the ground. This legislation will standardize the permitting process, setting the maximum fee that municipalities can charge at $75, in addition to a maximum of $40 health and safety inspection fee. 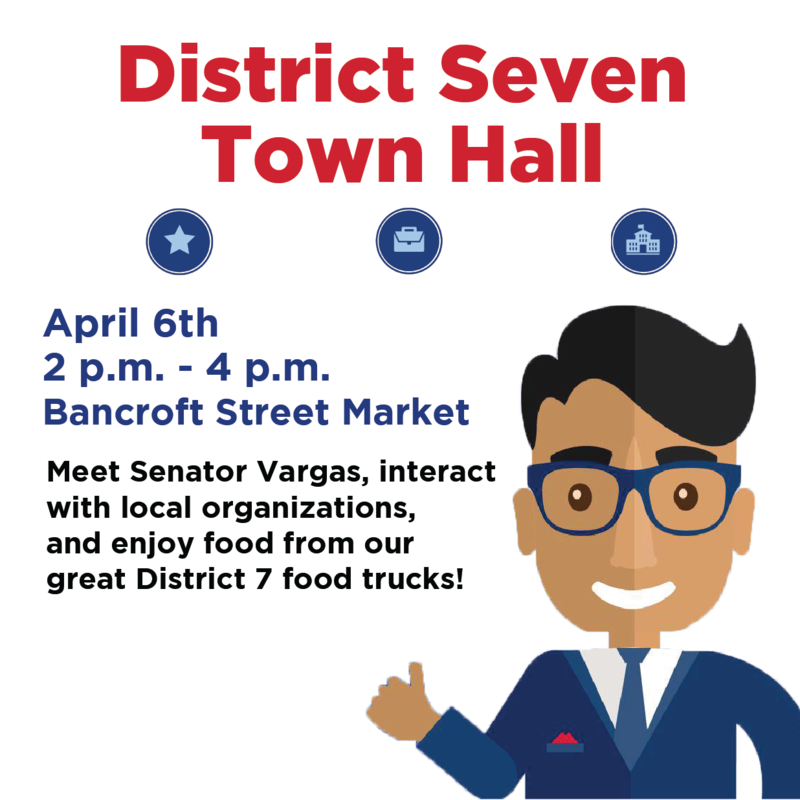 For consumers across the state, LB732 increases your opportunities to enjoy the food trucks that frequent Downtown and South Omaha. 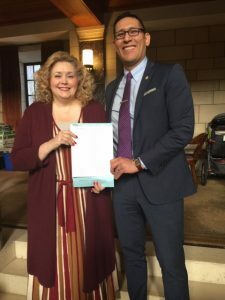 For example, this legislation ensures a city cannot place restrictions on hours of operation that are different than constraints on brick-and-mortar restaurants. In other words, a city cannot mandate that food trucks close at 2:30am, or what would otherwise be some of their peak business hours, leaving willing consumers without many options for some late-night grub. Additionally, LB732 grants food trucks the freedom to operate on public and private property, just like any other small business would have the authority to do. It’s important to me that cities maintain some autonomy and aren’t completely constrained by regulations handed down by the state legislature. There are several provisions in LB732 that allow local governments to regulate food trucks to the extent that they would any other operating business. It is important that as the food truck industry continues to blossom, we do not limit its opportunities within our state. All in all, it is my belief that food trucks all over the state will benefit when we streamline regulations and level the playing field for all operators. I am so excited for the opportunity to expand the vibrant dining scene in our district and across the state, with both brick-and-mortar restaurants and mobile businesses like food trucks. 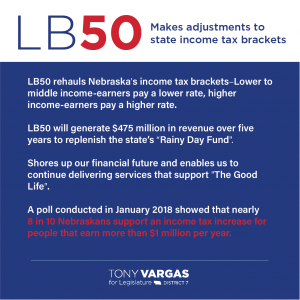 LB50 will rehaul Nebraska’s income tax brackets. Currently, everyone making more than $29,000 per year is taxed at the same rate of 6.84%. Under LB50, low and middle income-ea rners will be taxed at a lower rate. High income-earners will be taxed at a higher rate. People with incomes in excess of $1 million will pay an additional 1% in taxes and people with incomes of more than $2 million will pay an additional 2% in taxes. For more information about how this would affect people of different income levels, check out this helpful graphic from the OpenSky Policy Institute. Over the past four years, Nebraska’s cash reserves, also known as our “Rainy Day Fund,” has been cut in half due to consistent downturns in projected revenue collected from state taxes. In addition, Nebraska’s population is rapidly aging and becoming increasingly urban. This massive demographic shift means that in our near future, there will be greater demands on services that can be harder to deliver in lower population areas. However, I am not the only one who is in favor of what LB50 would accomplish. In fact, a vast majority of Nebraskans are! 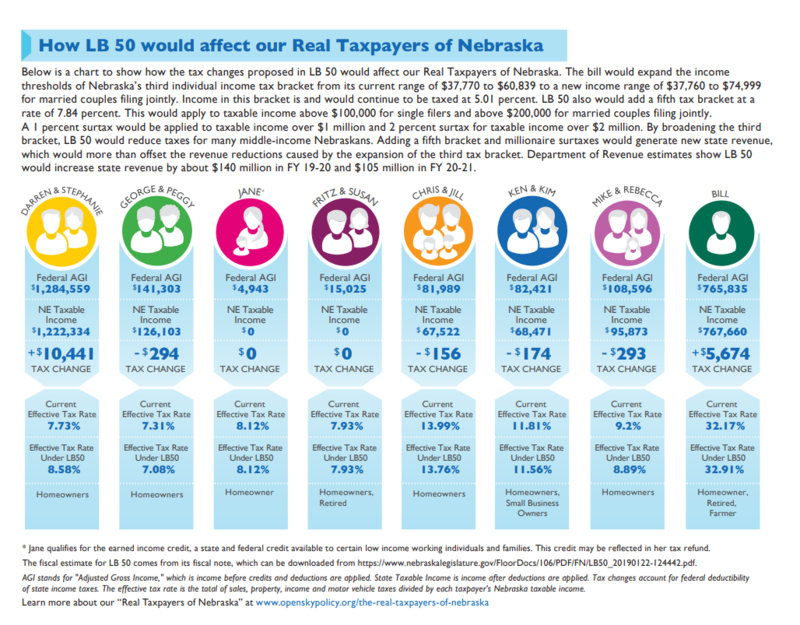 A poll conducted in January of 2018 showed that nearly 8 in 10 Nebraskans support an income tax increase for people that earn more than $1 million per year. This is even broader support than Americans nationwide. A nationwide poll from January 12, 2019 shows 70% support for the same measure, including 56% of rural voters. It is vital that as our state demographics continue to shift, and our cash reserves continue to deplete, we seek innovative ways to replenish our “Rainy Day Fund” and give ourselves room to grow. I am confident that should LB50 be adopted, it would have a tremendous positive impact on growing our state and ensuring its viability in the 21st century. 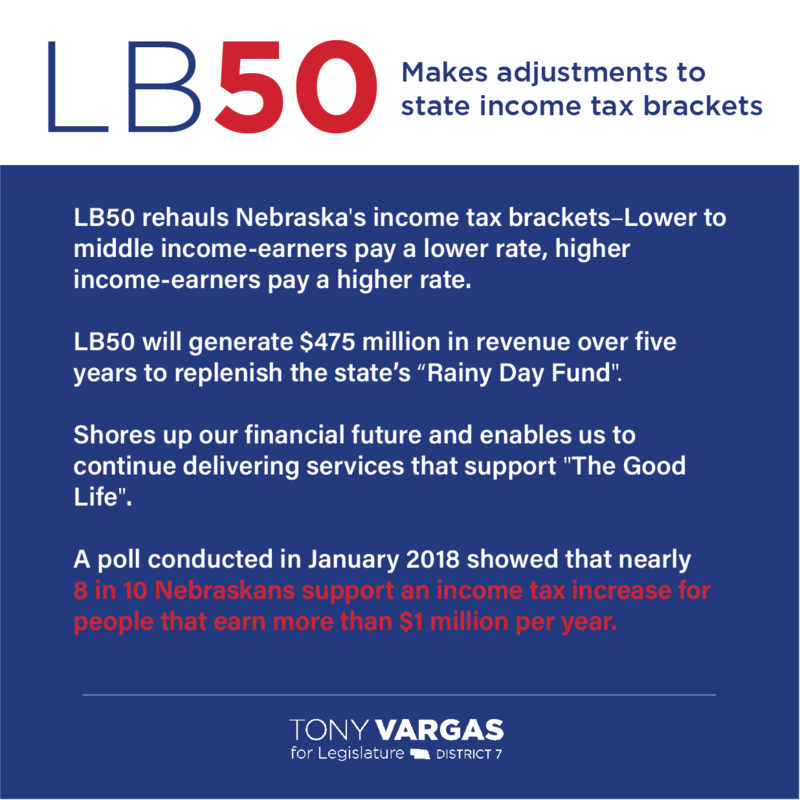 LB 50 – LB50 will adjust state income tax brackets, lowering taxes on low and middle income earners and raising taxes on our state’s top earners — income over $1 million will be taxed an additional 1% and income over $2 million will be taxed at an additional 2%. I know well the struggles that working families in our communities are facing. LB50 evens the playing field a bit more by asking workers making more money to contribute more. LB 310 – LB310 (reintroduced from 2017’s LB272) would expedite the process of receiving a Historic Tax Credit. This tax credit is used by developers to rehabilitate and revitalize historic buildings, benefiting both rural and urban areas communities across our state. LB 687 – LB687 will make the process of registering to vote simpler and more accessible for all Nebraskans by allowing updates to your address at the DMV to automatically update your voter registration record. This makes registering to vote simpler for everyone while also increasing the accuracy of our voter rolls. LB 723 – LB723 will lower the excise tax placed on our local breweries. I am thankful to the many who have reached out to me with concern regarding LB 314 & LB 497, two pieces of legislation that will raise the taxes on local Nebraska breweries. LB 723 is a viable alternative that honors the cultural and economic contributions that breweries make to our state. Breweries are important cornerstones in our communities — in urban areas like District 7 and in small towns like Ord, Broken Bow, and many more. We should do everything in our power to uplift this up-and-coming robust, vibrant industry. 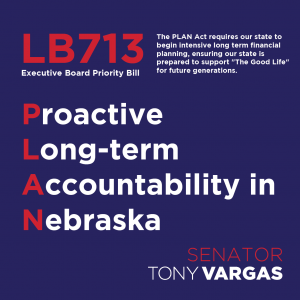 LB 724 – LB724, or what my office refers to as the GIRL (Gender Inclusivity and Recognition of Leadership) Act, will require any corporation that wants to receive tax benefits under the Nebraska Advantage Act to have women compose at least least half of its board of directors. Study after study shows that when women are paid equally and given opportunities to advance both our economy and our families do better. For too long, Nebraska’s principles of fairness and equality have not been adequately extended to all those live or operate in our state. It’s time to put our money where our mouth is and ensure our tax dollars are used to properly incentivize companies that recognize the contributions of women and prioritize gender equity. LB 732 – LB732 will streamline the permitting and inspection processes for food trucks. I was happy to work with the many food truck owner-operators from the Omaha area to craft legislation that makes it easier for them to operate across the state by removing some of the government red tape and standardizing permit fees and registration processes. LB 737 – LB737 aims to provide a better picture of projects done using money from the Affordable Housing Trust Fund by changing reporting requirements. With the need for affordable housing rising in District 7, it is important to me to ensure these tax dollars are being used to effectively address this growing problem. In 2018, Nebraskans expanded Medicaid, ensuring that more than 90,000 neighbors, family members, friends, and citizens across our great state receive access to the basic right of healthcare. Though the measure gained support in both rural and urban areas, Douglas County, and in particular, District 7, favored expansion by some of the widest margins in the state. I look forward to fulfilling my promise to fight for District 7 and ensuring that our community has access to affordable healthcare. Our district has the highest rate of uninsured people of any in the state. For too long, healthcare costs have been too high and unaffordable. We have seen thousands of hardworking Nebraskans left behind by insurance companies, either unable to afford care or turned away for no fault of their own. Medicaid expansion will not only bring down the cost of healthcare, but will also provide 90,000 more Nebraskans with the safety, comfort, and dignity that comes with the basic right o f healthcare. As Nebraskans, we understand the importance of looking out for another and building strong bonds with our neighbors. I am so proud that our state took that next step, and now, it is the Legislature’s turn to fulfill their promise to Nebraskans. Though Governor Ricketts mentioned funding for Medicaid expansion in his State of the State address on Tuesday, as a member of the Appropriations Committee, I will fight to guarantee that Medicaid expansion is fully funded and recognized as the will of the people, and not at the expense of other critical programs like education and services for children and seniors. In other news, I have dropped two more bills so far this week. LB 292 will help to fund the Microsoft Imagine Academy, a program designed to give students and teachers the training necessary to advance in a tech-driven economy. I also introduced LB 310, which would expedite the process of applying for a Historic Tax Credit. This tax credit benefits rural and urban communities alike, including District 7. The Historic Tax Credit program is crucial for ensuring that communities across our state maintain their beautiful histories.. Over the next few days, I will be introducing several more, so keep a lookout here!